Sheryl, an Arizona native, was raised in the North East Valley. 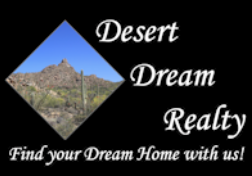 She grew up in Scottsdale and has also lived in Chandler, Gilbert, Downtown Phoenix and currently resides in Cave Creek. She has witnessed the extensive growth and many changes in the local economy and housing markets. Sheryl holds a Bachelor’s degree in Marketing from Colorado State University-Pueblo as well as Associates degree as a Paralegal. She has been a licensed REALTOR® since 2010, hitting Top producer her first year. Prior to entering the Real Estate industry, Sheryl has worked as a VP of Marketing for several companies bringing in 100’s of new clients. Early on she was as a Paralegal for the Criminal Presiding judge who has since moved on to the Supreme court. Sheryl loves being a REALTOR® because the housing industry is dynamic and there is always a different challenge to face or a lesson to learn. She enjoys working with people, whether they are first time home buyers, seasoned sellers or investors. She values honesty, integrity and commitment. When not assisting clients, she enjoys spending time with her family, racing (she is an 8x Ironman triathlete) and reading. Sheryl’s education, experience and passion for the business have all contributed to her success as a REALTOR®.